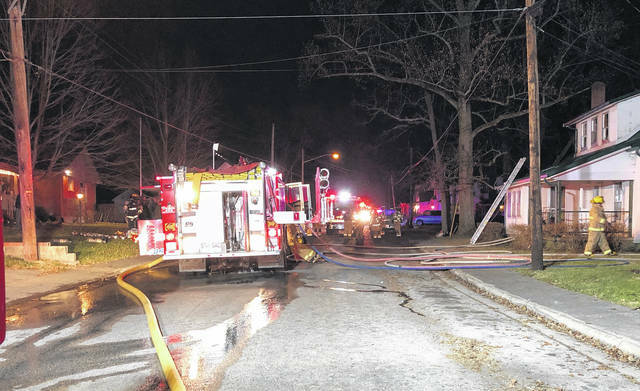 A Thursday night fire damaged a Lynchburg home, but no one was injured and all the Christmas presents were saved, Lynchburg Area Joint Fire and Ambulance District Chief Jeff Turner said. Turner said his department was dispatched to 426 Short Street in Lynchburg at 9:06 p.m. He said the initial crews on the scene found heavy smoke throughout the structure, but that they were able to knock the fire down quickly and limited the damage primarily to smoke. Turner described damage to the home as moderate. He said the family living at the residence was displaced and is staying with relatives for the time being, but he said he did have the name of the residents available because he was away from his office. The cause of the fire is believed to have been something electrical, Turner said. The residents of the home were able to evacuate on their own, according to Turner, and there were no injuries. The Paint Creek, Fayetteville and Martinsville fire departments provided mutual aid at the scene.